The concert featured on this remarkable 2CD set finds the entourage playing at The Riverport Amphitheatre in St Louis, Missouri, on 11th October 1995. With the entire gig broadcast by local FM radio, the sound quality is second to none and the performance - by both artists - among the finest of the whole tour. Not previously released, this rare recording is finally available and will prove an enormously attractive release, allowing fans to relive an essential event in the careers of both artists. 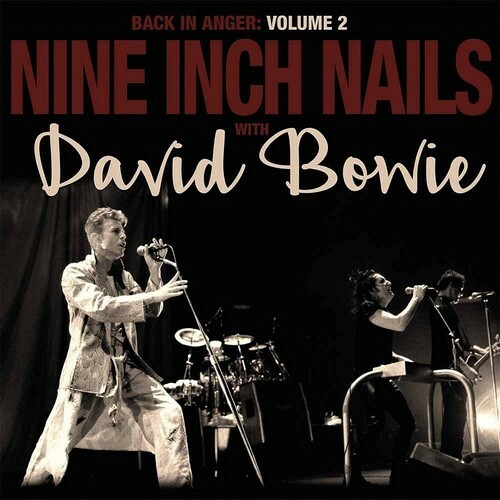 On the Outside tour, Bowie quietly served as a grounding point for Reznor; he offered, in his music and his performances, the potential of a future. He seemed comfortable in himself, but he wasn t self-satisfied; he wanted a new audience, and was willing to work for them. He was confident enough, or unhinged enough, to risk embarrassing himself by howling about Ramona A. Stone on stage, instead of playing Changes again. 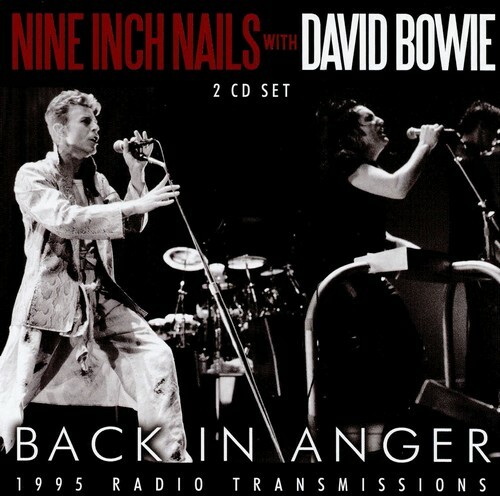 Bowie and Reznor designed an interim sequence to bridge their sets. There would be no NIN encore. 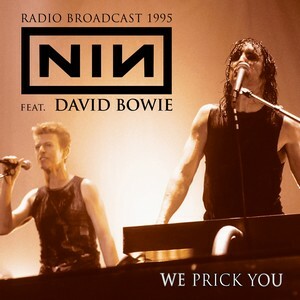 Instead Bowie, then his band, would join NIN on stage, and then NIN would depart, leaving Reznor singing with Bowie s band. 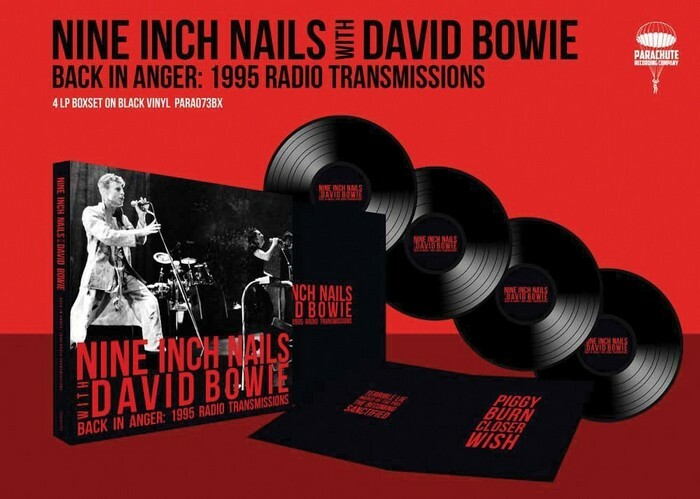 Back in Anger prévu le 19 août 2016 (2 x 2 LP) => 21 octobre 2016 ? A priori la tracklist donnée initialement est incorrecte. De plus ce serait le même show (mais incomplet) que le Back In Anger ci-dessus. 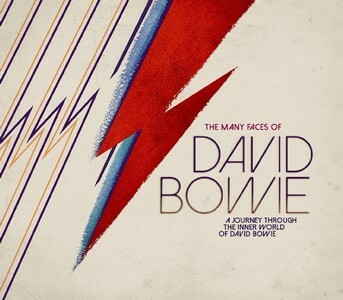 Le label Music Brokers rend hommage à DAVID BOWIE avec ce nouvel album dans sa série d'album "The Many Faces Of". Réparties sur 3CD, vous pourrez ici redécouvrir les nombreuses facettes de cette légende, à travers des collaborations inédites aux côtés d'IGGY POP ou REEVES GARBLES (THE CURE), des reprises de certains de ces plus grands "hits" par THE SPIDERS FROM MARS ou TONY VISCONTI, ou en réécoutant des titres et artistes clefs l'ayant influencés et forgés ses nombreuses identités musicales comme JACQUES BREL, THE YARBIRDS OU CHUCK BERRY. In Memory of version CD prévu le 19 février 2016 => 4 mars 2016 => 18 mars 2016 ? => 1er avril 2016 ? 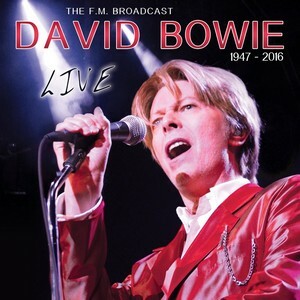 In memory of the legendary David Bowie contains rare FM broadcast songs from the 70s and 80s plus interviews! A priori la tracklist serait incorrecte et ce CD correspondrait au CD 1 des fameux bootlegs "Strange Fascination" ou "A Portrait In Flesh" du concert du 5 septembre 2014 à l'Universal Amphitheatre de Los Angeles. 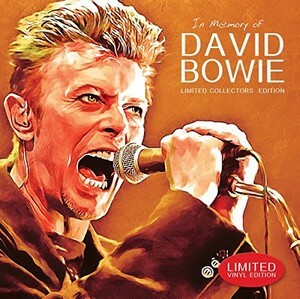 Limited edition LP featuring live versions of some of David Bowies best loved hits. He gained fame in the late 60's with the smash hit "Space Oddity". His rise to stardom was gradual but inevitable. His passion, for music, has allowed him to sell over 140 million albums worldwide. In 1996, he was inducted into the Rock & Roll Hall of Fame. David Bowie was one of the hardest working men in show business. It is time to celebrate his life and the music he left behind. Limited to 1500 units worldwide. A priori, à la différence du CD, ces titres seraient extraits du célèbre bootleg des répétitions du 27 avril 1983 à Dallas. The FM Broadcast en vinyle 7" prévu le 15 avril 2016 => 18 mars 2016 ? => 25 mars 2016 ? A priori ce dernier disque serait un vinyle et sortirait le 18 mars 2016. Legendäre Live Radioaufnahmen von David Bowie, aufgenommen vom australischen Sender KWFM. Diese streng limitierte Vinyl-Single enthält zwei Top-Hits: Absolute Beginners und China Girl. Enregistrements audio en direct légendaires de David Bowie, enregistrées par les stations australiennes KWFM. Cette seule édition vinyle limitée comprend deux grands succès: Absolute Beginners et China Girl. 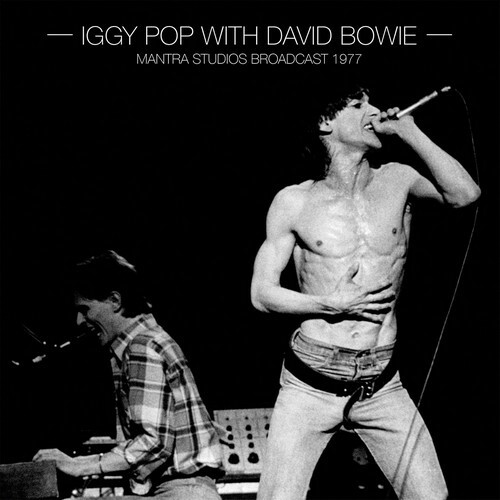 MANTRA STUDIOS BROADCAST 1977 FROM IGGY S 1977 US TOUR FEATURING BOWIE ON KEYBOARDS By 1976, proto-punk pioneer Iggy Pop had hit a major rut. Drug problems had led to the collapse of The Stooges, the band with whom he made his name, and he had checked himself into UCLA s neuropsychiatric institute in an effort to get clean. David Bowie, seeing his friend and collaborator in desperate need of support and guidance, was one of Iggy s few visitors. Bowie would later invite Pop to accompany him as his companion on the Station To Station tour, the first time Iggy had witnessed an outing of such scale and magnitude. Impressed by the success of the tour and with Bowie s work ethic, the pair relocated to West Berlin in order to wean themselves off their respective addictions and take full advantage of the burgeoning music scene there. While Bowie began work on his now-legendary Berlin trilogy, Iggy signed to Bowie s long term label, RCA, in 1977. With a new record deal in place, alongside the production skills, musicianship and songwriting assistance of David, Iggy was able to record and release what would become his two most acclaimed albums. In March 77 came art-pop masterpiece The Idiot, which produced the singles Nightclubbing and China Girl. Although certain purists would criticise the record for being a David Bowie album in disguise, The Idiot was a resounding success both critically and musically, becoming highly influential on the early industrial and post-punk scenes. On 29th August the same year Lust for Life appeared, a more typical affair for Pop, but ultimately his most successful album to date which spawned one of his signature tunes, The Passenger. The two albums, in addition to the world tour Iggy undertook with Bowie as sideman the same year, would ultimately revitalise the waning performer s career, unleashing a reenergised Iggy Pop onto the music scene by the end of the decade. 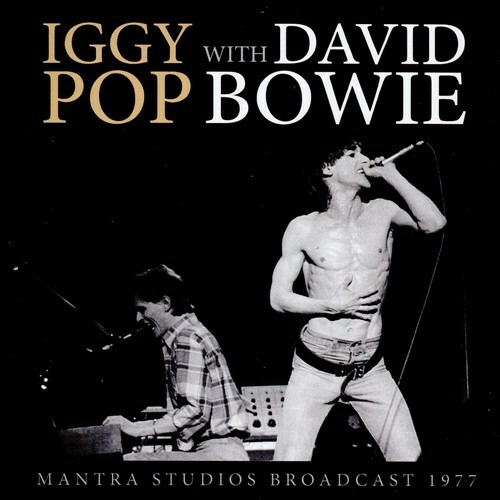 This CD, taken from a live radio broadcast of an in-house set recorded at Mantra Studios in Chicago, captures Iggy and Bowie alongside their touring band; during what was essentially a radio session, but one which captures superbly the essence of the tour they were undertaking at the time. Recorded just 10 days after the release of The Idiot on 28th March 1977, this recording reveals a truly legendary occasion for fans, unlikely as they are to have previously heard this rare set. 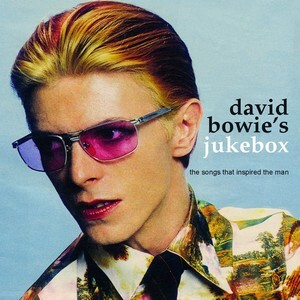 THE SONGS THAT INSPIRED THE MAN Featuring cuts from as diverse a collection of tune-smiths as Lou Reed, Jacques Brel, James Brown, Stravinsky, Bertolt Brecht and The Legendary Stardust Cowboy, among numerous others, this collection works on any number of levels and provides both a fascinating glimpse into the Record Collection of Bowie and a delightful compilation of songs from a wide selection of 20th Century Composers who rarely feature on the same album together. He may have been one of the finest composers of the past 50 years, but David Bowie was proud to wear his musical influences on his sleeve and never afraid to provide his own unique versions of the songs he loved. Indeed, as early in his career as 1973, he released an entire album of such with Pin Ups, when he performed songs he knew and admired from his teenage years - hit singles by British Beat Groups from the mid 1960s. And many a Bowie fan from that era is still under the illusion that the old Merseys smash Sorrow is a bona-fide Bowie song, such was his treatment of the record s hit single. 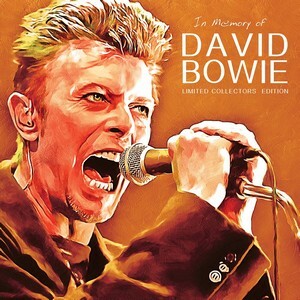 But across the years David s tastes and inspirations have developed and broadened exponentially and as a tribute to such a diverse range of informants, we hereby present the ultimate tribute to David Bowie s mythical Jukebox. 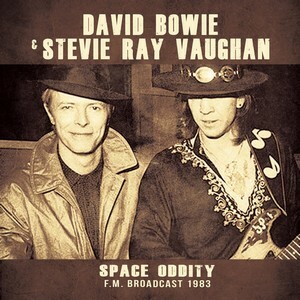 From the rare Dallas Moonlight sessions, the legendary Stevie Ray Vaughan brings a new life to some classic Bowie songs. Recorded in 1983 for WMFM. J'ai mis à jour les différents post avec les infos que j'ai trouvées. Les dates de sorties sont incertaines vu qu'il s'agit à chaque fois de sorties semi-officielles. T'es gentil toi. C'est du non-officiel à 100%.